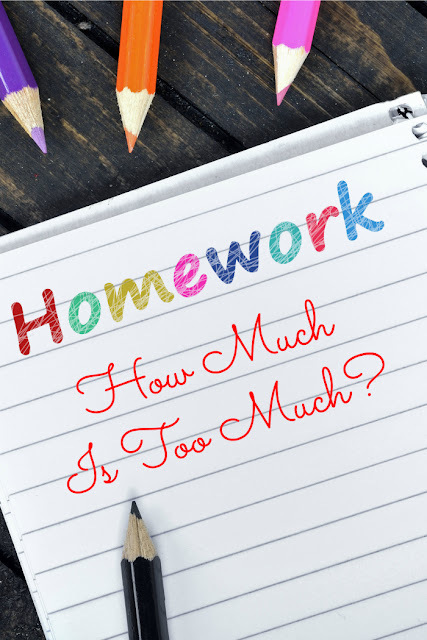 Home » afterschool » middle-school » parenting » How Much Homework Is Too Much? In the past few days, a lot of media outlets and social media enthusiastically discussed No Homework note sent home by a teacher in Texas. My own reaction was, What's the big deal? since our own elementary school district went to "minimal homework policy" two years ago. But, unfortunately, in a lot of school districts even around us young students are still getting too much homework. Why? 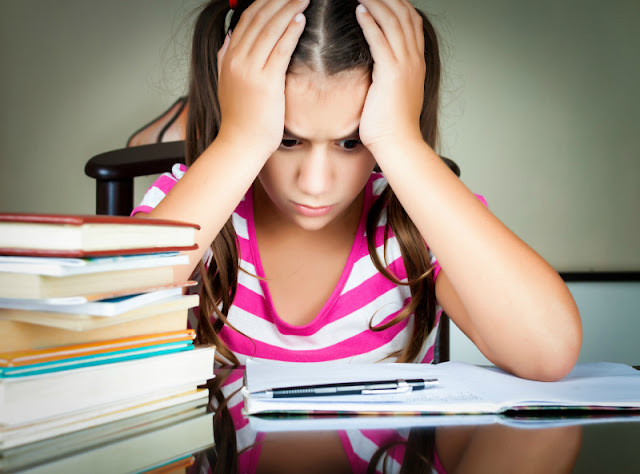 Do All Parents Hate Homework? I remember talking to my good friend from work whose son attended an elementary school in a more "academically rigorous" district. My daughter was in the first grade then, her son in the second. 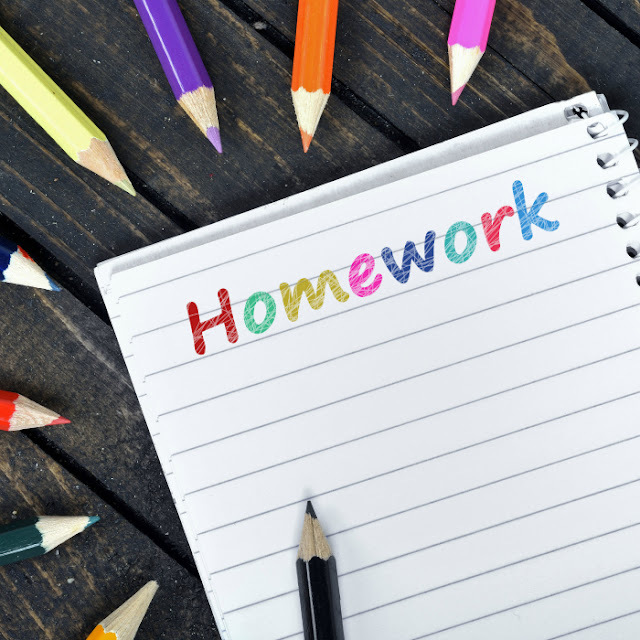 She was expressing concern with the amount of homework he received, especially writing homework, and with the impact homework was making on their home life. Not only second grade students were doing homework for more than an hour every night, they were made to redo their homework the next day if it was done sloppily or with mistakes. I was horrified and suggested that she talked to other parents about it. My friend said, I tried but other parents appear to like it. They say that by working hard now, their students are acquiring good work habits. It amused me, because the district in question is known for its high percentage of Asian families, and I also experienced first hand that the attitude to homework is very different between cultures. This is real, folks - not all parents hate homework, and in some districts around us parental surveys returned desire to keep homework on existing levels and even increase it. But Is Homework in Elementary School Really Necessary? Research shows again and again a lack of significant correlation between homework and academic achievement in elementary school. I personally think that these findings are especially relevant for students in grades K-2 where kids absolutely need to spend their after school time in enjoyable activities of their own choosing. After all, for better or for worse, the kids of that age spend hours in school every day learning nothing but reading, writing, and basic math skills. With this amount of intense repetition in school, why would they need even more time at home to practice the same skills? I think it's reasonable to expect a certain amount of homework for upper elementary grades (3-5) - no more than 10 minutes per grade as long as it's relevant and tailored to students' levels. I think it's reasonable, for example, to ask students to research a certain topic or to do a few problems to reinforce math unit. I certainly don't find it reasonable when entire projects are pushed to students and parents to execute at home, and the students are graded on those projects. It was painful when in the second grade our students did a heritage country study report, and a few kids with working single parents were shamed for not being able to complete their project. Don't get me wrong - I believe that every child should be reading during their free hours, or they should be read to. In our school, kindergartners had a "book bag" program where they would receive one book a week home from school. First graders and up had a weekly library visits, so school was making sure that even kids without books at home had appropriate reading material. But I don't like the idea of tracking reading minutes and signing reading logs. It turns an activity that most kids and parents want to do into an activity that they must do through a schedule enforced by school. Intrinsic motivation is removed and the pressure to read might kill the joy of reading and listening to books for reluctant readers. I saw some people saying that homework is not necessary even in middle school. I don't agree with this thought, because, as the number of subjects increases, they don't happen as often as they do in elementary school and, with all the group work and instruction time happening in the classroom, kids do not have enough time for individual practice or review to reinforce the concepts. I just wish that homework did not go from almost none in elementary school to quite a bit in the first weeks of the middle school. For the first time ever Smarty has homework that takes longer than 10 minutes. She still struggles with the idea that teachers expect students to actually show their work and not just to write down answers to homework problems, because they are "too easy". I wish middle school homework started a bit slower and with clearer expectations, but I think that managing homework for multiple subjects will help kids develop and strengthen executive skills needed for success in higher grades, so I am definitely in favor of having it... as long as it does not exceed one hour on a school night. I just really don't want weekend homework, because we want to be able to have fun, see friends, and relax during the weekend without worrying about unfinished homework. If your kids attend a school outside their home, do they get homework and how much? My son was in first grade last year and we went from having no homework in Kindergarten to so much in 1st grade. They requested 20 minutes of reading, 20 minutes of homework and 20 minutes of an online math game. This was 1 hour for 1st grade which I thought was crazy to require. We did the reading in the morning to try to get one thing out of the way before school and then tried to get the math game done too. Then we only had homework to do after school before dinner. In addition, the policy of the first grade was not to grade homework which meant that my kid brought it to school and it was never turned back to the students which my son started to notice and wondered why he was doing it if he was never getting feedback. The teacher told us that it was the policy and that wasn't going to change. It didn't need to be graded but the kids need to know that you are looking at it...redoing it seems a little crazy!! I think that most of the work done at home is busy work in the younger grades any way because it is supposed to be review. It is sadly review of things that were review for my son the first time around so it was very hard to continue the reviewing when all he wants to do it learn new things!! Homework in middle school and high school has more value as a tool but they have to learn the process at sometime but when my son is getting out of school after 4 pm, one hour is too much in my opinion!!! I am solidly in the no homework camp - possibly even for middle and high school. If we have to have homework in middle and high school, I would like to see it done as it is at my nephew's and niece's school, where the students read the lesson at home and then do the problems the next day in school. The past 2 weeks my daughter went to a kindergarten readiness class at her pre-K to get used to having a routine and refresh information that may have been hit with the summer slide. Every weeknight she had homework. Today was her first day of real Kindergarten and she was appalled because they didn't send any homework home. She told me, "How do they think we can learn when they don't give us homework? Don't they understand the concept?". Obviously, I've got a bright 5 year old on my hands. Unfortunately, her "peers" are not academically so. She told me she learned nothing new in school today and she complained about having to "put their heads down for a break", didn't have any outdoor time, and for recess they were each given one toy that they could not choose nor trade. I just sat with her on ABCmouse.com for a half hour just to make sure she doesn't wind up regressing with the way they're teaching in her school. I disliked giving homework and then having to check homework but the parents in my school district asked for them. They were working parents who needed kids to be busy with something other than TV or video games. I agree with you that requiring documentation/reading log can certainly kill the joys of reading. It's better to get the kids excited about certain books so they can't wait to go home and read their favorite books! Every teacher follows a different homework policy so it's nice when the school sets limits/standards. By middle and high school, kids tend to get a lot of homework especially when one teacher does not know if another teacher has given a great deal of homework for a particular class. I think homework should be given weekly and then be required to be handed in different times of the week by different teachers so they are not all due at the same time. I am in the little to no homework in elementary school, with some amount in middle and high school. Transitioning children into college level work now - I wish they had the homework foundation I had through my middle and high school years. That is one of the draw backs to homeschool - there is almost no work in the evenings or on weekends, and students come to expect that free time.